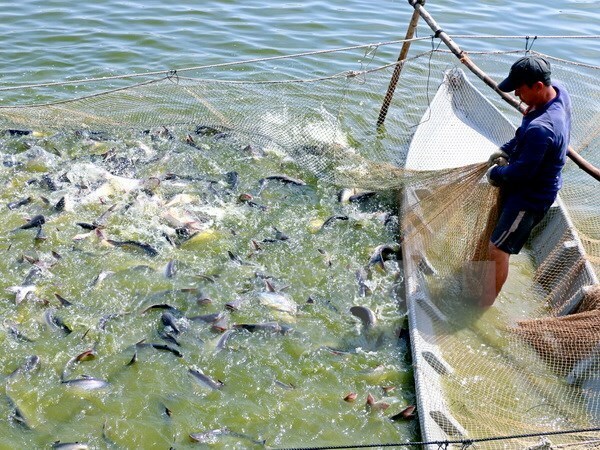 HCM City (VNA) – The Ministry of Agriculture and Rural Development (MARD) has issued a safety control programme designed for Siluriformes fish (mainly tra and basa) and related products exported to the US market as part of efforts to adapt to new changes in the market. The programme, starting from September 1, 2017, will apply strict supervision on all stages of fish farming, processing and exporting. Qualified products must satisfy 85 criteria of the US regarding veterinary medicine, 106 criteria on pesticides, 4 on dyeing chemicals, 17 on metals and 8 in biochemistry. In case a fish batch gets warnings from the US authorized agency, the National Agro-Forestry-Fisheries Quality Assurance Department (NAFIQAD) will request the processor to trace origin of the batch, while investigating reasons why the batch fails to meet food safety requirements. The department will also halt the facility’s Siluriformes fish export to the US, while handling its violations. In early July, the US Food Safety and Inspection Service (FSIS) announced that it will apply new regulations in import under the inspection programme for Siluriformes fish from August 2 instead of September 1 as stated earlier. Under the regulations, authorized agencies in the exporting country must submit to the FSIS documents to prove that the country’s food safety control system is equivalent to that of the US. The MARD’s new programme aims to demonstrate the equivalence and minimise refusals of fish batches export to the US, thus reducing costs for enterprises. According to the Vietnam Association of Seafood Exporters and Producers (VASEP), in the first six months of this year, the US remained the leading market for Vietnam’s tra fish. However, tra fish export revenue in the US reached only 176.4 million USD, a drop of 5.7 percent compared to the same period last year. Due to high anti-dumping tax rate, only three Vietnamese firms managed to export tra fish to the market with considerable volume and value.